San Francisco, CA (Feb 10, 2006) - Eidos Interactive, one of the world's leading publishers and developers of entertainment software today confirms that Commandos Strike ForceT, developed by Pyro Studios, will be released on April 4th, 2006 on PlayStation®2 computer entertainment system, Xbox® video game and entertainment system from Microsoft and PC in North America. In a new direction for the multi-million selling series, Commandos Strike Force takes you right into the heart of the action with an innovative blend and first person perspective. Set in war torn Europe amid the backdrop of World War II, take your elite 'Strike Force' unit behind enemy lines on a series of linked missions through France, Russia and Norway. Undertake action, infiltration and stealth missions with the Green Beret, Sniper and Spy, using any means necessary to challenge a winning enemy and pave the way for invasion. Enter into battle alone, or take the fight online with your friends. Commandos Strike Force features an innovative blend of stealth and action gameplay new to the genre. With the ability to freely move within the battlefields players execute attacks with a high degree of control. This gives the player the ability to set ambushes, attack silently and unseen, infiltrate prisoner of war camps, stalk and stab, all while being surrounded by the enemy. Commandos Strike Force also features several missions where players control two commandos at the same time switching between the two on-the-fly. The game boasts a variety of multiplayer modes, up to eight players online with console and 16 players via the internet. We'll be checking if the release date for Europe remains the same. Commandos Kill Techniques Video Now Available for Download at Eidos Interactive!! Life as a commando is not easy; always outnumbered, fighting deep behind enemy lines. When so much depends on your success, one must exploit every advantage at their disposal. Each scenario is unique, and calls for a different course of action. That's why we are bringing you the latest gameplay video which showcases the variety of ways that members of the Commandos Strike Force Team can take out their enemies. Sometimes the situation calls for a foe to be picked off from a distance with a precise headshot. Or perhaps the deed must be fulfilled up close and personal by slipping a garrote around your opponent's neck. The outcome of the battle is yours to decide as Commandos Strike Force ships this Spring, 2006! Tomb Raider: Legend Ship Date and New Screens!! San Francisco, CA (Feb 2, 2006) -- Eidos Interactive, one of the world's leading publishers and developers of entertainment software, confirmed today that Lara Croft's latest and most anticipated adventure, Lara Croft Tomb Raider: LegendT will begin shipping on April 7th in Europe and April 11th in North America on PlayStation®2 computer entertainment system, Xbox® video game and entertainment system from Microsoft and PC with Xbox®360 and PSPT (PlayStation®Portable) system versions to follow shortly after. Lara Croft Tomb Raider: Legend is the seventh title to be released in the Tomb RaiderT series, which originally launched in 1996 and is still one of the best selling videogame franchises of all time, with over 30 million copies sold. Lara CroftT has transcended games in a way no other character has, including action figures, comic books and two major motion pictures starring Angelina Jolie. Larry Sparks, Head of Brands Management, Eidos said: "Everyone working on Legend is buzzing right now, we are all so excited that this totally new incarnation of Lara will capture gamers' hearts, just as her original game did, and challenge their minds like no Tomb Raider they've ever seen." We've added 38 screenshots to our image gallery; 27 which appeared on the internet earlier this month, 6 new ones from the official website (weird, since the site says to have 12 new ones...) and 5 shots of the sniper in action which you haven't seen before today! 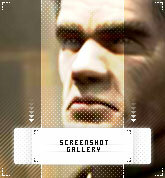 The image gallery can be accessed here. Take special notice of the shot with the rainbow in it; says something about the amount of detail Pyro is putting in the game. Great work! Eidos Fires Off a New Commandos Strike Force Trailer and Website Update With Deadly Accuracy! Precision is key. Navigate to your location, line up your sights, take a deep breath, and then pull the trigger. When going up against what seems to be insurmountable odds the slightest miscalculation may result in the turning point of the battle. Such is the pressure for sniper William Hawkins, one of the three members of the Elite Commandos Strike Force Team. To showcase his abilities we've updated the official website with some new assets including a brand new trailer! Commandos Strike Force fuses both stealth and action gameplay, letting you strategize and execute your plans with a high degree of control. Experience World War II from an angle you have never seen before. Are you prepared? Then set your sights on www.commandosstrikeforce.com, and head on over for the new goods. Commandos Strike Force is coming in Spring, 2006. Keep your intelligence lines open because more info is coming soon! Whereas forum member and webmaster oki-doki posted that Proein (Spanish publisher of games & owned by Pyro Studios CEO Ignacio Pérez) stated that the game would launch on the 17th of March for all platforms we now have the official press release from Eidos. 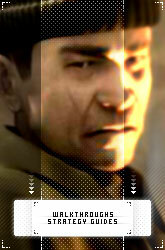 "Pyro are working wonders with this game"
"This could well be the last great World War II shooter on the PS2." Eidos, one of the world's leading publishers and developers of entertainment software, confirms that Commandos Strike ForceTM, developed by Pyro Studios, will be released on March 17th, 2006 on PlayStation 2, Xbox and PC in all European territories. Online multiplayer battles with a range of play modes and settings are supported by all formats from launch. 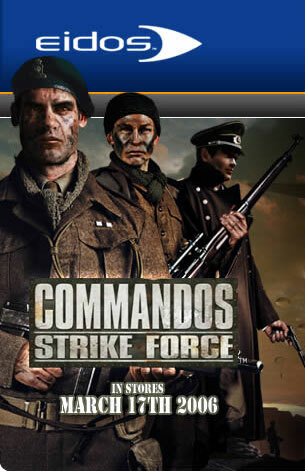 Commandos Strike Force © Pyro Studios SL, 2006. Developed by Pyro Studios SL. Published by Eidos 2006. Commandos and Commandos Strike Force are trademarks of Pyro Studios SL. Pyro Studios and the Pyro Studios logo are trademarks of Pyro Studios SL. Eidos and the Eidos logo are trademarks of SCi Entertainment Group plc. All Rights Reserved. Eidos Interactive Ltd is part of SCi Entertainment Group Plc (SEG) one of the world's leading publishers and developers of entertainment software. Following the acquisition of EIDOS Plc in May 2005, the Group has a valuable combined portfolio of intellectual property including: Tomb Raider: Legend, Hitman: Blood Money, Commandos Strike Force, Just Cause, Battlestations: Midway, Urban Chaos: Riot Response and Reservoir Dogs. Today we have launched our Praetorians section, the last Pyro game for which we still didn't had a fansite running. Even though the game is out for a couple of years already, it's still worth checking it out as we also have some never-seen-before materials posted (at least, so we think/hope. ) Not so surprisingly though, I mean c'mon, it's TAFN you're visiting; always on front when it comes to the latest news.